Tendon injuries can be among the most difficult injuries to successfully treat. For many years I have specialised in treating tendon injuries. I completed my Medical Doctorate researching the best treatments for tendon injuries. Many different factors must be carefully considered to achieve the optimum result. These include a thorough analysis of why the injury has happened, an accurate assessment of the injury itself, consideration of all available treatment options and a bespoke rehabilitation plan. 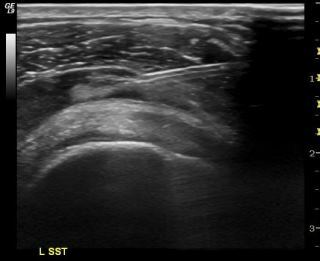 Being qualified in musculoskeletal ultrasound I am often able to scan and often confirm the diagnosis at the your first appointment. This allows treatment to start more quickly than is otherwise possible.